In 1970, the iconic rock band, Chicago, released a single entitled, “Does Anybody Really Know What Time It Is?” Fast forward to 2018, one might ask, “Does anybody really know how much sleep is needed for long-term wellness?” Time marches on and science is still debating the proper amount of sleep for cardiovascular and overall health maintenance. We do know that science has linked poor sleep with chronic health challenges, including memory and concentration issues, weakened immunity, and increased risk of obesity, diabetes, high blood pressure and heart disease. Conversely, research has shown that adequate sleep can strengthen memory, curb inflammation and lower stress, as well as improve mood, spur creativity and support a healthy weight. Individual sleep requirements are highly variable. As such, health advisors generally recommend that adults strive for an average of seven to nine hours of sleep each night. A new study suggests that sleep duration that is either too short or too long is associated with greater cardiovascular risk factors. Preliminary results from the study, recently published in an online supplement of the journal Sleep Health, suggest that seven may be the magic number when it comes to the relationship between sleep length and long-term cardiovascular health. The study showed that excess heart age appeared to be lowest among adults who reported sleeping an average of seven hours per 24-hour period. Sleeping times less than or greater than seven hours were associated with increased excess heart age, with the highest elevations noted in short sleepers. Heart age is calculated based on risk factors for heart disease. Common reasons for advanced heart age include normal aging, family history, unhealthy diet, physical inactivity, high blood pressure, diabetes, obesity and smoking. Per the Centers for Disease Control (CDC), one in two men, and two in five women have a heart age five or more years older than their actual age. Those who slept less than seven hours had the highest risk for cardiovascular disease due to the effects of metabolic and endocrine functions, vascular damage, and circadian misalignment. Sleep deprived individuals had higher blood levels of stress hormones, as well as markers of health-damaging inflammation. Researchers also found that those who regularly slept nine or more hours each night had more calcium buildup in their heart artery walls and stiffer leg arteries than those who normally slept seven hours per night. Research supports protected sleep time for every age group, from children to adolescents, teens and adults. Those who don’t sleep well have greater chances of developing risk factors for poor long-term health, including hypertension, high cholesterol and a higher body mass index. Cardiovascular disease is the number one cause of mortality worldwide and accounts for one of every three deaths in the U.S. Aside from age and family history, cardiovascular disease is largely preventable through addressing modifiable risk factors. Take steps to reduce cardiovascular risk factors by enjoying a whole food healthy diet, becoming physically active, not smoking and managing weight, as well as lowering blood pressure and controlling blood sugar, if needed. To lower heart age and support overall health, aim for seven hours of healthy sleep each night. Occasional sleeplessness is normal. Nearly one third of Americans have difficulty falling and staying asleep at some point in their lives. However, when infrequent episodes of insomnia escalate to a regular unhealthy routine, poor sleep habits may be to blame. Basic sleep hygiene strategies can include keeping the bedroom cool, dark and comfortable, as well as establishing routine bed and wake up times. Avoid stimulating activities and eating a heavy meal at least three hours before bed. Begin dimming the lights at least an hour before bed to stimulate melatonin production for a good night’s rest. To find the right amount of sleep for you, experts suggest going to bed at the same time each night for at least one week, while also setting a wake up alarm for the same time each morning. If you find you are waking before the alarm, you have likely gotten sufficient sleep and could go to bed a bit later if desired. If you sleep past the alarm, it’s a good indication that you require more sleep and need to go to bed earlier. 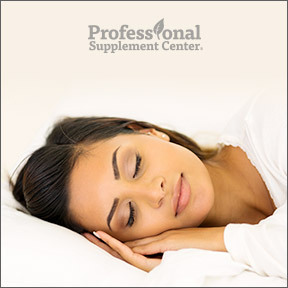 Melatonin Plus 5 mg by Professional Supplement Center®: This vegetarian biphasic formulation delivers melatonin quickly, then steadily, in support of healthy sleep patterns and synchronization of daily biorhythms. Ingredients confer direct and indirect antioxidant activity. Free of wheat, gluten, corn, yeast, soy, animal and dairy products, fish, shellfish, peanuts, tree nuts, eggs, and artificial colors, sweeteners, and preservatives. Melatonin PR 3 mg Prolonged Release by Douglas Laboratories®: This formula provides 3 mg of pure grade melatonin in a prolonged-released tablet in support of healthy restful sleep. Free of yeast, wheat gluten, soy protein, dairy, corn, sodium, sugar, starch, artificial coloring, and artificial preservatives. Non-GMO vegan formulation. Sleep Time by Nutritional Frontiers: To assist the promotion of restful sleep, this blended formula provides nutrients that support inhibitory neurotransmitter production as well as promote a sense of wellbeing and reduced anxiety. Vegetarian capsules. Kavinace Ultra PM by NeuroScience™: This top selling, highly recommended favorite provides a proprietary blend of ingredients shown to improve the onset and quality of sleep. Powerful ingredients support calming neurotransmitters and hormones important to a healthy sleep cycle to promote restorative sleep and help manage stress and anxiousness. It appears that our sleep habits directly affect diet and appetite. Researchers at the University of Chicago compared those who slept only four and one-half hours to those who slept eight hours. They found that the those who skimped on sleep did not skimp on calories the next day. In fact, quite the opposite. The short sleepers consumed an additional 400 calories and ate twice the amount of fat and protein, as compared to those who slept an optimal eight hours. Sleep deprivation results in blood alterations of certain lipids, as well as appetite regulating hormones leptin and ghrelin. Controlled studies have shown that deficient sleep leads to decreases in leptin, the satiety hormone, while ghrelin, the hunger and appetite hormone, increases. Recently, it has come to light that less than optimal sleep also results in changes to a lipid known as 2-Arachidonoylglycerol (2AG), an endocannabinoid. The endocannabinoid system is a unique and ubiquitous cell-signaling system that is just beginning to be understood. Per the National Institutes of Health (NIH), the discovery of endocannabinoids has led to studies on their potential involvement in the physiological control of appetite and energy metabolism. The findings of three large multicenter clinical trials strongly support a pathogenic role of increased endocannabinoid activity in obesity and associated metabolic abnormalities. Studies support that endocannabinoids play a key role in memory, mood, and the brain reward systems, as well as glucose metabolism and energy balance. Epidemiologic studies established the link between sleep deprivation and its influence on energy balance and body weight regulation processes. While a longer wake cycle results in a slight increase in energy expenditure, it can lead to disproportionate calorie consumption, decreased physical activity and weight gain. The possible involvement of reward system mechanisms may trigger increased unhealthy food intake following sleep restriction. A randomized study showed sleep restriction resulted in increased circulating concentrations of 2AG, widely expressed in the brain’s reward centers and in metabolic organs that stimulate food intake and fat lipogenesis, the metabolic formation of fat. 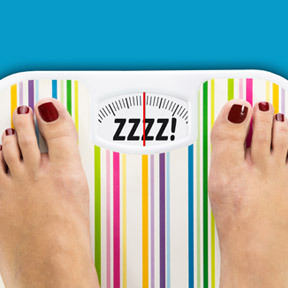 Habitual sleep loss is a major risk factor for weight gain and obesity. Generally, weight gain may occur when one gets fewer than seven hours of sleep nightly. 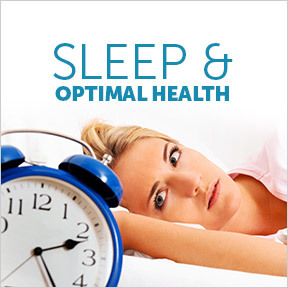 When trying to lose or maintain weight, optimal amounts of healthy sleep may be just as crucial as diet and exercise. Poor sleep causes a disruption of appetite, reward and stress hormones, resulting in increased appetite and negatively affecting the ability to make healthy food choices and control portion sizes. Lack of sleep can result in daytime fatigue and deceased motivation to exercise. Sufficient healthy sleep helps to improve mental and physical performance. Adequate sleep can refresh brain circuits that allow for more optimal food choices, leading to weight control rather than weight gain. Just as inadequate sleep negatively affects energy levels, sufficient sleep can help provide the energy necessary for physical activity. The right amount of sleep encourages proper stress and appetite hormone regulation, as well as a healthy metabolism, the amount of energy the body burns to maintain all cellular processes. Adequate sleep, along with healthy diet and exercise, supports optimal health and decreased risk of developing obesity, diabetes type 2, insulin resistance and metabolic syndrome. Kavinace Ultra PM by NeuroScience™: This top-selling sleep product specifically targets neurotransmitter imbalances with a unique combination of neurotransmitter precursors, herbal ingredients and enzymatic cofactors that provide effective support for restful sleep. Gluten, soy, yeast and artificial ingredient free, vegetarian formulation. Adipo-Leptin Benefits™ by DaVinci Laboratories of Vermont: This product offers evidence-based ingredients that support hormone balance relative to appetite and weight management. Gluten and soy free, Non-GMO vegetarian formulation. 5-HTP Supreme™ by Designs for Health: This higher dosage product supplies vitamin B6 and 5-HTP in support of appetite control, reduced cravings, insomnia, improved mood and overall neurotransmitter metabolism. Wheat, soy, dairy and preservative free, Non-GMO vegetarian formulation. This product is not recommended for those taking SSRI’s or MAO inhibitors. Melatonin PR 3 mg Prolonged Release by Douglas Laboratories: This natural hormone nutrient helps to regulate the sleep/wake cycle, supports normal immune function, and provides free radical protection. One serving provides 3 mg of pure pharmaceutical grade melatonin in a prolonged release tablet. Gluten, wheat, soy, dairy, sugar and artificial ingredient free vegan formulation. As it is estimated that 50 –70 million Americans suffer from chronic sleep deprivation, it’s safe to say that many of us know how exactly how it feels to lose a night or two of sleep. In the short term, inadequate sleep can impair judgment and mental clarity, and negatively affect efficiency, mood, and physical safety. In the long term, sleep loss and sleep disorders have a profound effect on human health. The price we pay for insufficient sleep is an increased risk of chronic disease, overall poor health, and even early mortality. According to the National Center for Biotechnology Information (NCBI), the cumulative long-term effects of sleep loss have been associated with a wide range of deleterious health consequences, including an increased risk of hypertension, diabetes, obesity, depression, heart attack and stroke. Is there an amount of sleep that is considered ideal? While the general recommendation for adults is to strive for seven to eight hours nightly, sleep needs are individual and vary by age, lifestyle and state of health. In other words, infants, toddlers, children and teens require more sleep than adults and the elderly may require less. And then there are those who proclaim that the need for continuous seven to eight hour nightly sleep is a myth and that there are underexplored variations of daily sleep, such as shorter sleep/wake cycles with naps in between, similar to our how our ancestors lived before the advent of electricity. However, it’s believed that only about three percent of the population can get by with just a few hours of nightly sleep without experiencing ill effects. While it’s well documented that short naps are beneficial, many of us don’t have the luxury of time to indulge in them. History tells us that sleep patterns change, although our need for sleep does not. From the ancient Greeks and Romans who worshipped powerful sleep deities, to Aristotle who concluded that sleep was a time of physical renewal, to King Louis XIV who held court while reclining in one of his many beds, to Napoleon Bonaparte who prescribed “six hours of sleep for a man, seven for a woman and eight for a fool,“ to the present day advice, sleep has been a necessary part of life since the dawn on time. While Aristotle may have believed the “seat of consciousness resided in the heart, and that sleep was a direct result of warm vapors rising from the stomach during digestion,” we now know that sleep is a highly active process during which the day’s events are processed, memories are stored, the body is rejuvenated and energy is restored. According to the Division of Sleep Medicine at Harvard Medical School, we have two internal systems that regulate when we sleep and when we are awake. These two systems work independently and under normal conditions produce consolidated periods of wakefulness and sleep, but they can become misaligned when we stay up past our usual bedtime, work shift work, are jet lagged, suffer from a sleep disorder, or are under a lot of stress. When we disconnect from the natural cycles of activity and sleep, chronic sleep deprivation can result. Despite the fact that sleep loss is considered by some to be a public health issue, the management and treatment of sleep is not often addressed. Those who struggle with insomnia, sleep apnea, chronic pain, restless leg syndrome and other sleep difficulties may want to seek a consultation with their health care provider or a sleep behavioral specialist. For those of us who don’t prioritize or can’t manage to get regular heathy sleep, the most effective treatment may be a simple understanding of proper sleep habits that enable us to get better rest. Just as we have bedtime routines for our children, establishing a regular and relaxing routine can be a very helpful way to transition into sleep. To improve your sleep patterns, establish a consistent bedtime routine, and as often as possible go to bed at the same time each night. Sleep is a behavior that can be reinforced positively or negatively. Learn to put yourself to sleep by following better sleep guidelines. If you have trouble sleeping, limit naps to 20 minutes and take them early in the afternoon. Although there are differing opinions regarding the benefits of sleeping in on the weekends, if you are exhausted, sleep. Allow time to transition from activity to sleep. Take the last 30-60 minutes before bed to unwind and relax. You can try reading, taking a bath, stretching, listening to music, meditating, enjoying a cup of herbal tea or anything else that works to calm your mind. Avoid overstimulating activities including high intensity exercise, surfing the internet and late night television. In addition to stimulating the mind, light from devices can interfere with your internal body clock. If you are stressed and worried about the next day’s activities, you won’t fall into a restful sleep. Writing down your thoughts or a plan for the next day’s activities, will help to put your mind at ease so you can rest. Start dimming the lights at least 30 minutes before retiring to allow the natural production of melatonin, a hormone that helps to control sleep/wake cycles. Optimize your light exposure during the day, especially first thing in the morning, and minimize light exposure after dark. Once in bed, if you find you are still awake after 30 minutes, ease your frustration by getting up and repeating parts of your bedtime ritual. Keep lighting soft and go back to bed when feeling sleepy. Kavinace Ultra PM by NeuroScience – This very popular proprietary blend is designed to support calming hormones and neurotransmitters to promote normal, healthy, restorative sleep and relieve symptoms of anxiousness, irritability and stress. Gluten and soy free, vegetarian formula. Sleep Aide by Vital Nutrients – This botanical blend contains valerian and lemon balm, two of the most studied herbs shown to support occasional restless sleep. Additional ingredients and herbals relieve occasional tenseness and irritability, and provide safe, natural calming support for the central nervous system to encourage restful sleep. Gluten, soy and dairy free formulation. Melatonin PR by Douglas Laboratories – One serving provides 3 mg of pharmaceutical grade, prolonged-release melatonin, a natural hormone that appears to regulate sleep/wake cycles, support normal immune function and provide free radical protection. Gluten and soy free, vegan formula. 5HTP Supreme by Designs for Health – As a precursor to serotonin production, 5HTP helps to naturally restore serotonin levels to promote healthy mood, reduce food cravings and aid health sleep.